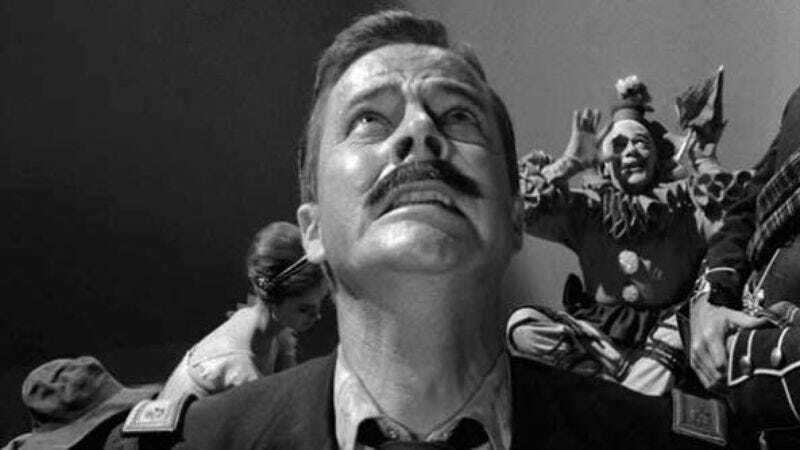 After two years in which directors like Michael Bay, Christopher Nolan, Alfonso Cuaron, Rupert Wyatt, and most recently Matt Reeves have been tossed into the ring for the new Twilight Zone movie—searching vainly for some sort of exit from the box of development limbo, only to discover they’re just toys in the hands of producer Leonardo DiCaprio—yet another filmmaker has been added to their group. The Wrap reports that Joseph Kosinski is the latest name to take on Rod Serling’s classic anthology series and equally old John Landis jokes, and he’s currently entering talks with DiCaprio’s Appian Way and Warner Bros. about taking over yet another, revamped version of the project. According to the article, this latest incarnation from the director of Tron: Legacy and Oblivion will be “redeveloped to suit Kosinki’s talents,” which we guess means there will be lasers. But in truth, it was we who were the lasers all along.